In coffee culture, there are many tried and true brewing methods that stay on our cafes’ chalkboard menus– like drip and shots of espresso. But every decade or so a new (or old) way of making coffee rises to the top and catches public eye. Right now that’s the aeropress. But the last two MVPs in the coffee world have not completely left the scene. So let’s look at both the Keurig and the pour over in-depth and see why we haven’t fallen out of love with either. Though this method caught some flack with the environmentalists, the k-cup has undergone some “green” changes. I have a full write up of some great options for eco-friendly k-cups. 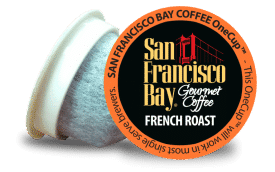 Check those out if you’re a k-cup fan and help make it the norm so that our planet doesn’t suffer on account of our coffee habit. Regardless of the recyclable remodel, the basic principle of the new k-cup is still the same as the original design. Except this time, in place of the plastic grounds container, we have a mesh-like basket that is made up of recyclable materials. The intricate details differ between companies, but it’s usually paper or some sort of plant by-product. Instead of the plastic ring, the basket is sealed with a plant-based material. And paper lids have replaced the foil ones from the original design. The only thing that remains the same is the paper filter and the pre-ground coffee. It’s just that easy! So what possible cons are there to a guiltless green single-serve cup of coffee? The two noteworthy downers are the lack of control of grounds and water. This is kind of big deal, right? A cup of coffee is just water infused by coffee grounds. Here’s why it’s important to be able to manipulate water and grind. If you’ve read a lot of our articles in the education section of our blog, you know how we harp on the importance of freshly ground beans– but it’s worth saying one more time. It is absolutely imperative to grind your whole beans to the appropriate coarseness or fineness before every brew. It’s nearly impossible to have a well-rounded cup of coffee that is packed with flavour and complexity if you brew with pre-ground beans. The second they are broken down, they slowly but surely start to go stale. 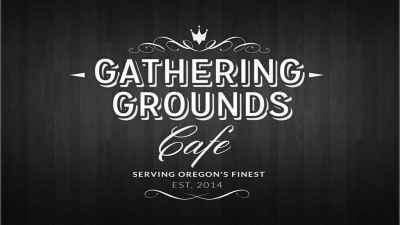 Since there is no way of knowing just how long the grounds have been in each package, there’s no telling if you’re going to get a sensational or sour cup of coffee. Every k-cup brewed is a gamble. This is another make-or-break factor that cannot be manipulated when using a Keurig. No one likes over-extracted, burnt or bitter coffee. Sadly, these are adjectives that are commonly used when the water is not measured to the right ratio by weight or warmed appropriately. 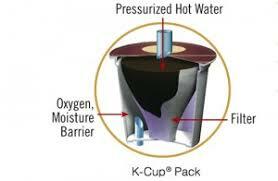 Keurigs and all of the similar brewing systems bring the water reservoir to a boil before pouring it through each batch. 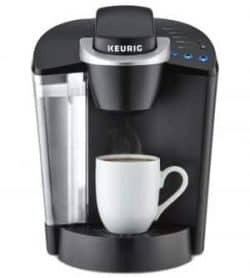 But if you’re not a stickler and just want coffee on demand with zero hassle, the Keurig would be the perfect choice for you. 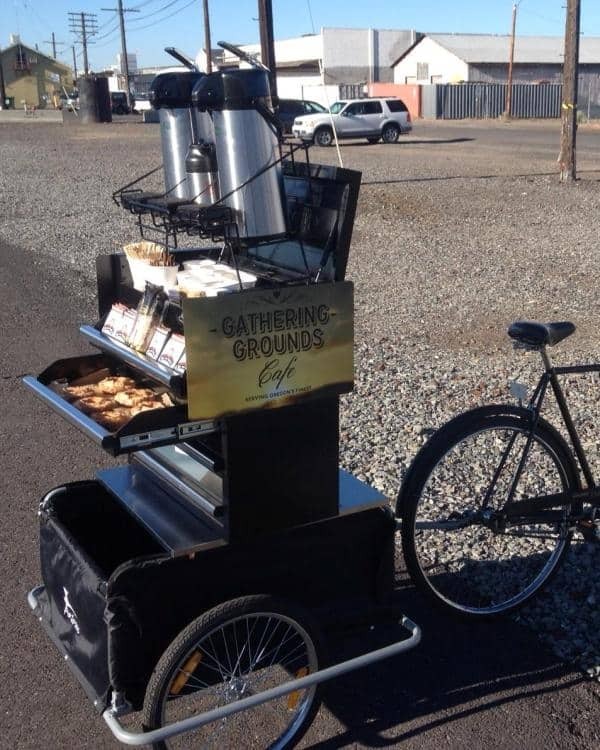 What if I told you that you could have single-serve coffee that is fresh and tailored to your preferences? If you are just plain picky and are not afraid to try new things, I would strongly encourage you to purchase a pour over. I know that most people think of the iconic Chemex when they hear the words, “pour over” but it’s more of a master level brewing system. 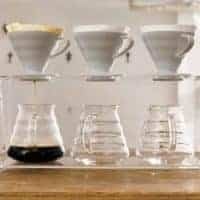 It’s wide neck and flat walls require a little more technique and control than a pour over novice has right away. Flow restricters are the easiest pour over rigs because their neck is just a set of holes in the bottom of the cone, rather than the large mouth that the chemex has. The most notable of these is the Hario V60! The V60 coffee dripper is the best of the single-serve world with all of the complexity that you could get at a coffee house. The narrowest part of the cone is built into a flat piece so that it fits on top of your mug. That horizontal plane has a single hole in it to allow the coffee to pour through and into your cup. 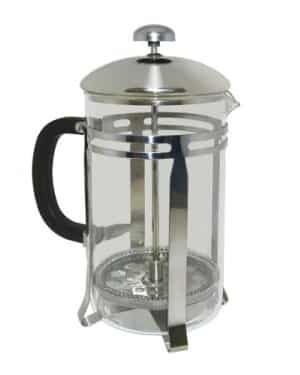 This allows your the water more contact time with the beans so your coffee is not under extracted and lacking in flavour. Another great example of a flow restricter is the Kalita Wave. It is very similar to the V60 in design, this cone also sits atop a mug. But instead of the single drip hole, there are 3 openings. 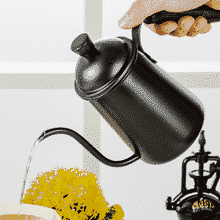 This stops the water from having too much contact time with the grounds– producing a bright, flavourful cup of coffee. The Kalita Wave’s design is ridged so that the filter does not sit flush with the rest edges of the cone. The creases allow the coffee to extract evenly and flow through to the cup. Both are great choices! And once you pick a style, you can follow this quick how to brew a pour over guide. Get your grinder, scale and gooseneck kettle ready because this is a process, friends. step 1: Give your cone, filter and mug a good rinse. This rinse will wash off left over oils and particulate from the last brew and stabilize the internal temperature of the whole set up. The best kettle you can have for this method is the gooseneck. 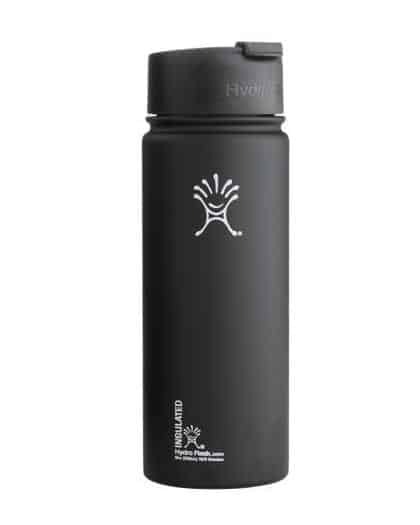 The narrow spout gives you more control over how much you pour and how quickly you do. 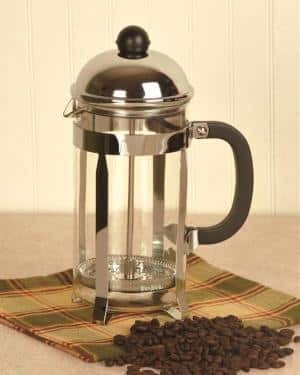 While your water is boiling, it is important to grind your coffee appropriately. 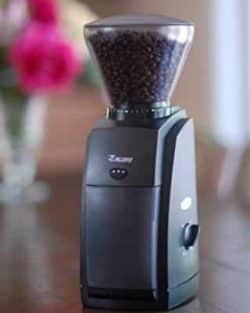 Too coarse of a grind will produce bitter coffee, since the water will not have enough contact time with the grounds. The water will just move through the cone, since pour-overs are not immersion brewing systems. And too fine will yield weak coffee because it will have too much time within the grounds chamber. Dose is barista lingo for the coffee to water ratio. Pour out the water that was warming your mug and place it in the center of your scale. Don’t forget to zero out your scale by pushing the tare button, or you will have math to do throughout the process. Add your measured grounds to the cone. There are two different ways to pour. Pour all the water into the reservoir, making sure to cover the grounds bed evenly. Pour the first third of your water into the cone starting from the center circling out to the circumference. Then wait 30 seconds. Repeat two more times, 1/3 of the water every 30 seconds. 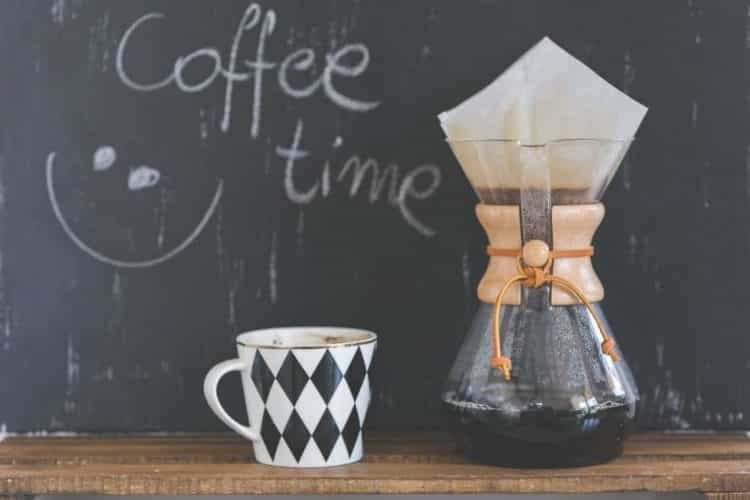 The standard brew time for pour over is 2.5-3.5 minutes. Now you know the ins and outs of these two very different brewing methods! 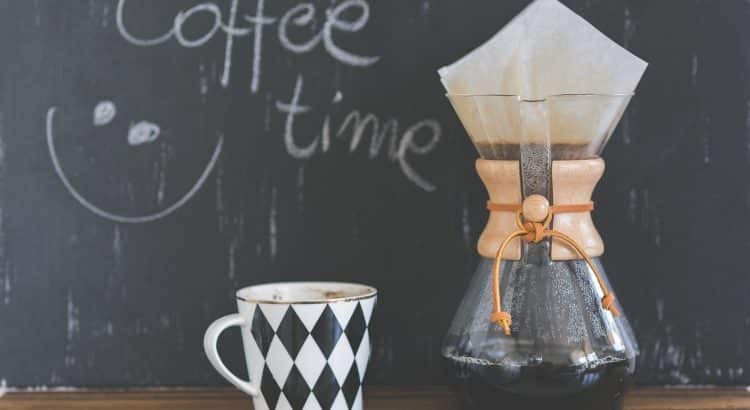 So whether or not you want an easy, electric coffee system or a portable system that has a lot of possibility for personalization, you can make the best decision for you and your pocketbook. Click on any of the product pictures above to make your purchase today.